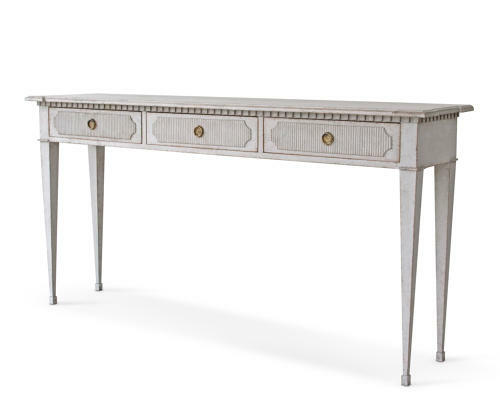 A richly carved Gustavian console table featuring; a shaped top with dentil frieze, over three drawers with vertical reeding & scalloped corners, and standing on elegant square tapered legs. Available in a range of authentic Swedish hand painted antique patinas. FedEx Airfreight to USA approximately $1,350 inc. custom crating & insurance. White glove service available.